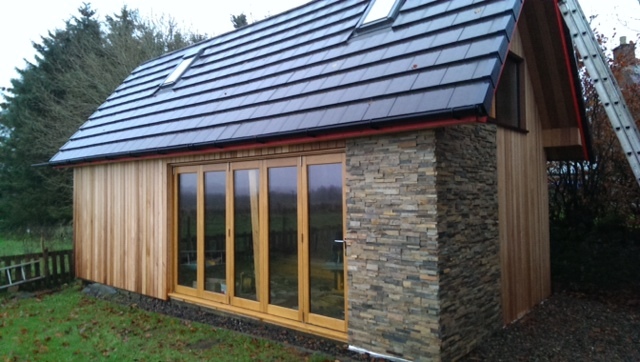 ​Norstone supplied us not only a fabulous product which transformed our build but the information provided from concept and detail throughout the process was first class. I cannot recommend these guys enough, very thorough and a product for all eventualities! SieMatic are globally recognised as world leaders in kitchen design and manufacture. Our name is synonymous with quality and market leading design innovation. Like our discerning clientele, we choose our partners carefully… SieMatic UK are proud to work with Norstone UK. Norstone have a product range that sits with our furniture perfectly. The rugged honestly of the quartzite adds texture and contrast to our kitchen designs and is a valued element within the designers palette. Norstone offer a service that is equal to their product and are reliable, professional and most importantly are a pleasure to work with. Having encountered a problem with another supplier for our Centenary Chelsea Flower Show Garden 2013, we approached Norstone for help and advice, who in turn were very professional and super efficient when it came to solving our immediate problem which threatened the completion of our garden. Norstone also kindly offered to take over the sponsorship and had their team of highly skilled operatives and materials on site within 2 days, with all the works completed to the highest possible standard and within tight time-frame and constraints that one faces at a show such as Chelsea. Thank you Jack and Norstone. We love your product and it looks stunning as a double height feature wall as you walk into our client's Dentist Reception Area. Best of all you made us look good in front of our customers by supplying a superlative product as and when promised. We were very impressed with the quality of the samples and the presentation – different types presented in a box. I was initially worried that the samples maybe a better quality than the actual product but this was not the case. We enquired with a number of companies about both pricing and advice on how to apply the product to the wall and found very quickly that the advice and guidance from Norstone far better than any other company. They were prepared to go that extra way even before we had made a final decision to buy the product. This gave us confidence to go with Norstone. We were prepared to go with a better quality product , and assurance that we were receiving the best advice and customer care than opt for something slightly cheaper and risk things going wrong. We are novices at this interior decorating stuff but with the help of Norstone we have got a great feature wall which we would have shied away from if we hadn’t had the support and guidance from their sales staff. They were just as keen as me in ensuring we got a high quality finish . It’s a pivotal a feature of our house and we receive lots of complements for it. We’re really pleased we choose it and thank you so much Norstone for helping us get it right. "We wanted to come up with a very unique design for our high-street retail brand - something that sets us apart from the competition in terms of aesthetics! Searching for Stone Panels and seeing the most distinguished designs on Norstone's website get our attention right away. Their sale representatives have been very professional; they helped to quantify our need, then quoted quickly (quite fair for what it is), advised on the complimentary materials, delivered on time, in good packaging. So all in all, the project went very well with them, and also they were very swift at rectifying few minorities. But the actual result was observed when the public flood in our shop and praised the design! It has truly exceeded my expectation... I'd say we feel fortunate to have found Norstone; and you'll most definitely see their products in our other branches soon.Thank you"
As promised, here are a few pictures of my recently completed chimney breast. It ended up taking longer than anticipated as we have been waiting for the hearth to arrive. It has been worth the wait though, we are really pleased with the end result. Many thanks for your assistance throughout the process, it's a great product backed up by excellent customer service.